A story from November 2009 that you may not have seen yet. 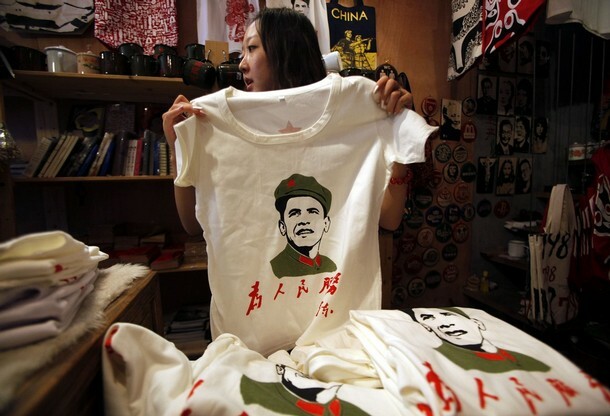 "With President Obama scheduled to visit Beijing on Monday, city authorities have banned souvenir vendors from selling a popular t-shirt depicting the president as a Mao-era red guard," reports Foreign Policy. 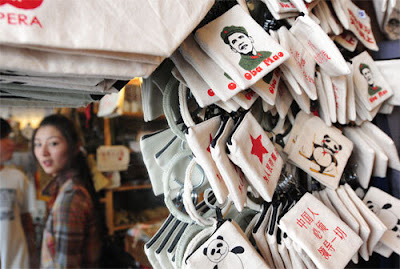 More photos here, and the original story at China Digital times is here. You're right Trevor, I hadn't seen this story before, but I can easily understand why the Chinese market those and also why Americans haven't heard of this much.